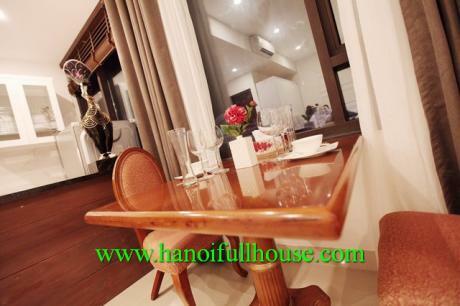 This beautiful serviced apartment for rent in downtown of hanoi center. This is a brand-new serviced apartment with studio apartment style, elevator, motorbike storage. This apartment has fully furnished, modern furniture, newly equipped, well designed with an European kitchen, a modern bathroom, big glass window with a lot of light, marble floor, high speed internet. 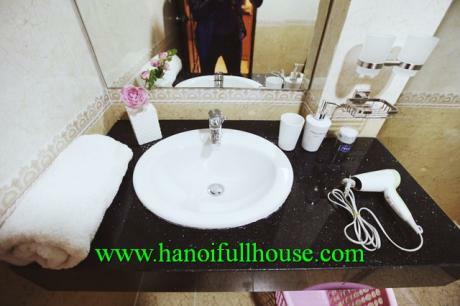 This apartment has walking distance to Opera House and Hoan Kiem Lake. This apartment rental included internet, cable tv. It has a private washing machine & dryer.